toward the future,” Furutani Co., Ltd. have sought to improve skills and address technology development. Not only expanding the hardware of the company but also helping “staff members” have both pride in and passion for their work, we aim at a maintaining a blue-chip company by contributing to the local community and by acquiring a high degree of satisfaction and trust from our customers. other various types of molds. Hinode Gomu Kogyo Co., Ltd. The founder Isao Furutani starts operation in Kanon-honmachi, Hiroshima City. 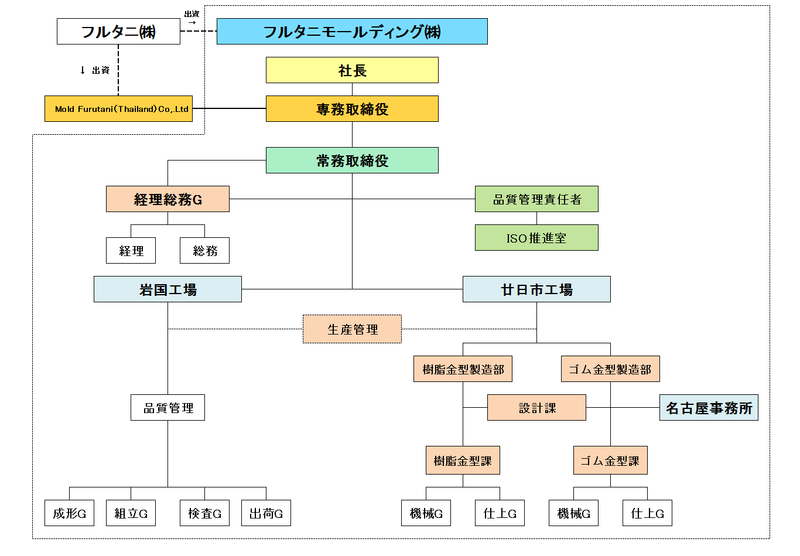 Sets up a company structure Furutani Tekko-sho as a limited company. Rebuilds the office and plant. Celebrates 50th anniversary of its foundation. Introduces numerical-controlled (NC) machine tools based on the facility modernization project. Hiroshima city awards Furutani as one of the blue-chip companies. A New Plant is built in Yahata, Saeki-ku, Hiroshima City. The office and all the plants move to Yahata. The company name and organization are changed to Furutani Co., Ltd.
Celebrates the 70th anniversary of its foundation. Moves to Miyauchi Kogyodanchi (Industrial Park), Hatsukaichi City. Mold Furutani Co., Ltd. is established in Thailand. MFT Co., Ltd. Obtains ISO 9001: 2000 certification. Obtains ISO 9001: 2000 certification. 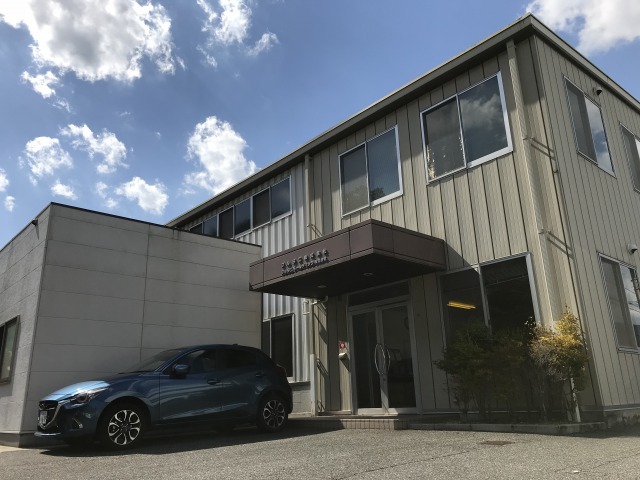 Furtani Molding Co., Ltd., a wholly owned subsidiary of Furatani Co.,Ltd. is established in Hatsukaichi city,Hiroshima Prefecture. Celebrates the 85th anniversary of its foundation. Establishes a molding plant in Shutou-cho, Iwakuni City, Yamaguchi Prefecture. Opens Nagoya Office in Seki City, Gifu Prefecture. Obtains ISO 9001: 2008 certification. Celebrates the 90th anniversary of its foundation. Celebrates the 15th anniversary of MFT Co., Ltd.foundation. Expansion a molding plant in Shutou-cho, Iwakuni City, Yamaguchi Prefecture. Obtains ISO 9001: 2015 certification.